Florence County is home to world class higher education institutions that suit a variety of needs including welding, maintenance, industrial engineering, and business. Students will have the opportunity to receive certificates, advanced certificates, an Associate’s degree, a Bachelor’s degree, and/or a Master’s degree..
Francis Marion University, founded in 1970, is one of South Carolina's 13 state-supported universities and offers a broad range of undergraduate degrees and a select number of graduate programs in serving the needs of communities, businesses and industries of the Pee Dee region. Located about seven miles east of Florence, the 300-acre campus is known for its beautiful foliage and landscaping. It is Florence-Darlington Technical College’s (FDTC’s) mission to provide exceptional educational products that enhance the economic development and the quality of life in the Pee Dee area. In addition, the college seeks to provide its students with skills that are highly marketable in today’s global economy. Florence-Darlington Technical College was established in 1963 and currently serves the South Carolina counties of Florence, Darlington, and Marion. FDTC’s initial enrollment of 250 students now exceeds 6,000 curriculum students. The college’s original campus of 100 acres has now expanded to more than 240 acres with a complex of 11 major buildings, including the Leatherman Advanced Manufacturing Center and the Gould Incubator at the Southeastern Institute of Manufacturing and Technology (SiMT). Coastal Carolina University is a dynamic, public comprehensive liberal arts institution located in Conway, just minutes from Myrtle Beach, South Carolina. Coastal Carolina offers baccalaureate programs in 40 fields of study and graduate programs. Coastal comprises 53 main buildings on 307 acres including the Burroughs & Chapin Center for Marine and Wetland Studies and the Coastal Science Center, located on the East Campus at the Atlantic Center on U.S. 501. 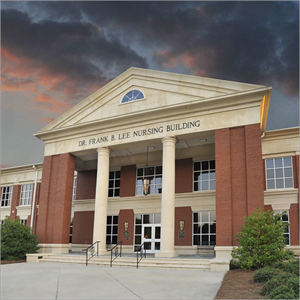 Coker College is a student-centered, comprehensive, baccalaureate degree-granting college. It is dedicated to providing every student enrolled in the Day Program and in the Evening and Extended Studies Program an academic curriculum based upon a uniformly excellent liberal arts core that enhances the structured development of key personal skills. With locations in Conway, Georgetown, and Myrtle Beach, Horry-Georgetown Technical College is a comprehensive two-year community/technical college ideally situated on the beautiful South Carolina coast. HGTC offers more than 70 associate degree, diploma and certificate programs of study for students seeking quick entry into the workforce or even desiring to transfer to pursue a bachelors degree or beyond, and HGTC also specializes in Continuing Education and professional training for employees and employers who want short-term, skill-specific learning. Northeastern Technical College is a post-secondary institution which is accredited by the Commission on Colleges of the Southern Association of Colleges and Schools to award associate degrees, diplomas, and certificates. Northeastern Technical College is one of the 16 technical colleges that make up the SC Technical College System, an organization that contributed nearly $2.5 billion to South Carolina’s economy during the 2004 fiscal year. During the same year, Northeastern Technical College had a cumulative economic impact totaling more than $47 million on its service area.